A good reason to visit Poynings! Poynings is tucked away on a minor road passing along the back of the South Downs. 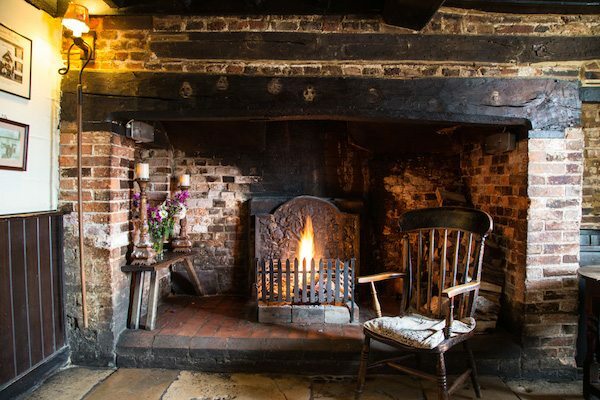 The village pub – The Royal Oak – is an ideal place to relax after a walk over the South Downs. You can try one of their daily specials, with locally sourced ingredients, or choose one of your favourite pub classics. Every one is welcome at The Royal Oak, Poynings – both young (they are child friendly) and old. In the winter you can sit by a wonderful roaring fire. In the summer you can enjoy barbecues in their large pub garden with views of the Downs. The kitchen is open every day from midday until 9.30 p.m. The pub is recommended as one of the best places to dine out on a Sunday in the Brighton area & has been featured in the magazine “Absolute Sussex”.